Discover the benefits of Color Guard® vinyl railing systems. Virtually maintenance free, they look freshly painted year after year. Perfect for the do-it-yourself homeowner, our systems install easily and include all the components necessary with step-by-step instructions. Color Guard® backs its product with an outstanding warranty protection program. 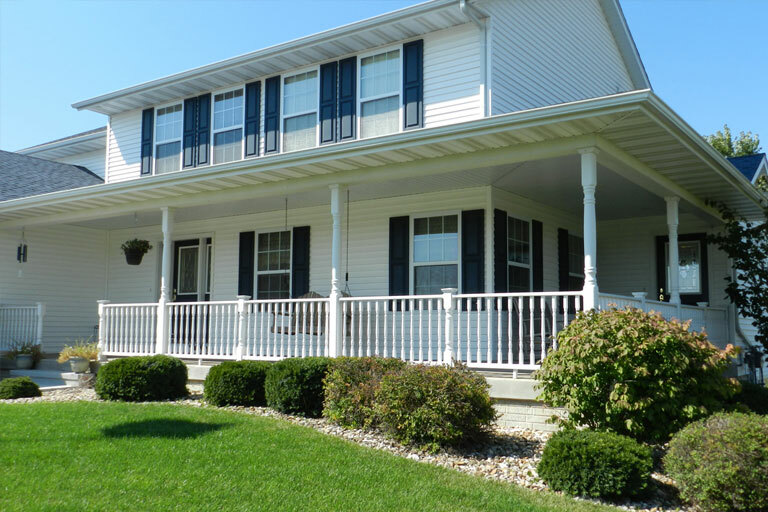 Architectural offers an upgraded look of traditionally-turned 1-1/2″ colonial balusters. This period-correct design is sure to bring that touch of detail to your home. Each section includes factory-routed reinforced rails, balusters, rail brackets, hardware, bottom support block and ezTECHTM installation instructions. Posts, post mounting brackets, post caps and decorative collars are sold separately. All railing designs are available in three colors to best match or blend in with the look of your house. Tuscany allows you to create your own solution! Combine our flat 2″ x 3″ vinyl top and bottom rails with the balusters of your choosing to give your porch or deck the custom touch which you create. 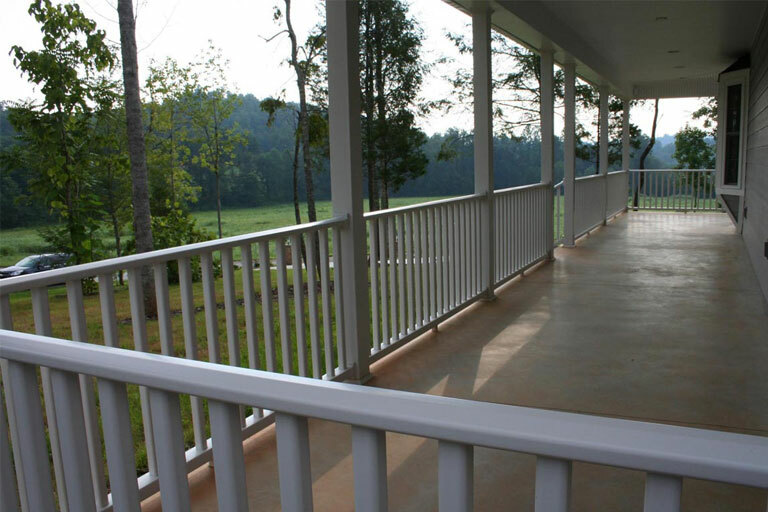 Rails are routed to accept 3/4″ round balusters and are available in white, tan and clay. Gates not available. 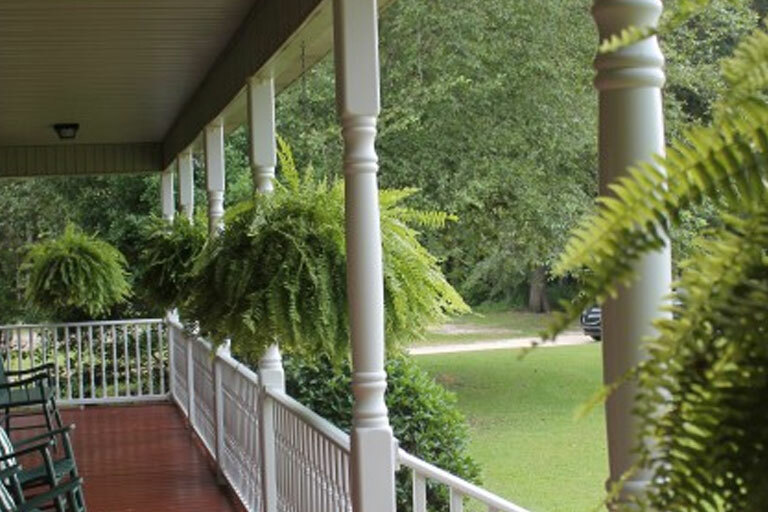 Porch posts and accessories provide structure, look great, and finish off your railing system. 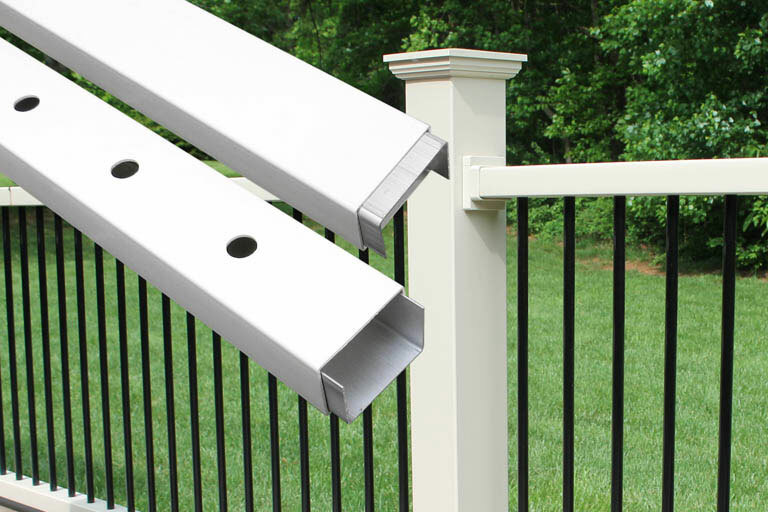 Easy to install structure posts, post caps and collars, and newel posts are all available.